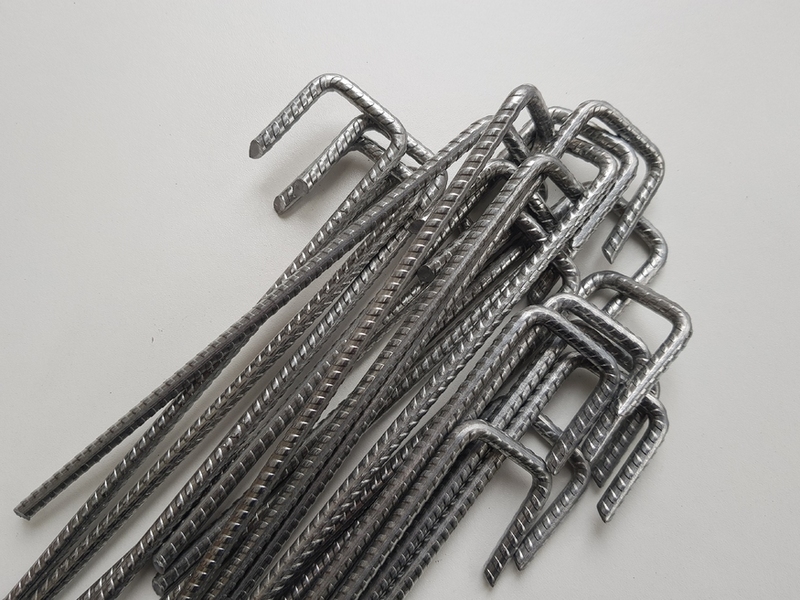 20 pack of 50cm long heavy duty thick 8mm galvanised rebar J-shaped pins for ground fixing. 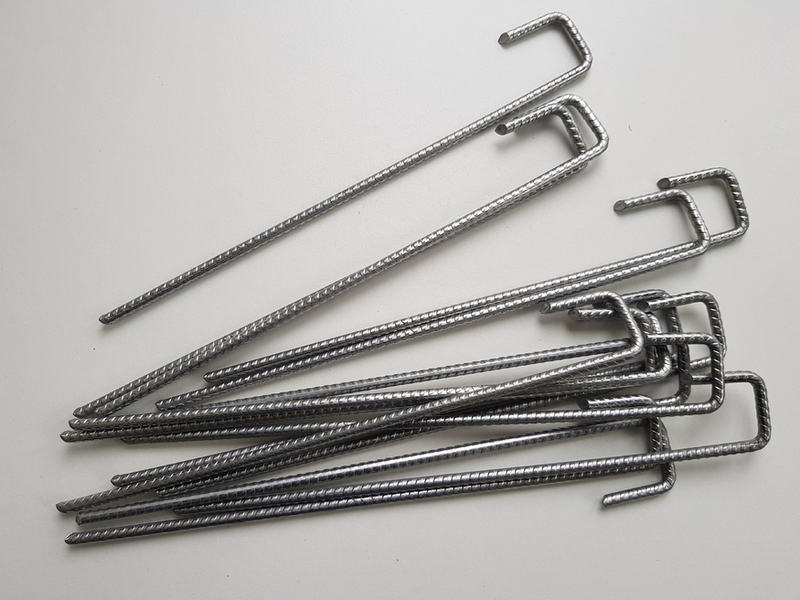 These 500mm / 0.5mtr long galvanised steel heavy duty pegs have a 50x50mm J-shape. The 8mm dia. 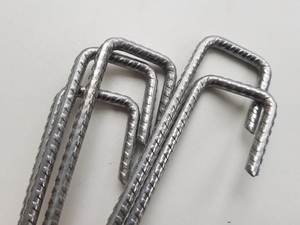 steel wire is galvanised for anti-rust / corrosion resistance and is very strong and ideal for most ground conditions. Used for securing ropes, geosynthetics, geocell systems, wire mesh, erosion control mats, turf reinforcement mats and for fixing fencing mesh to the ground. 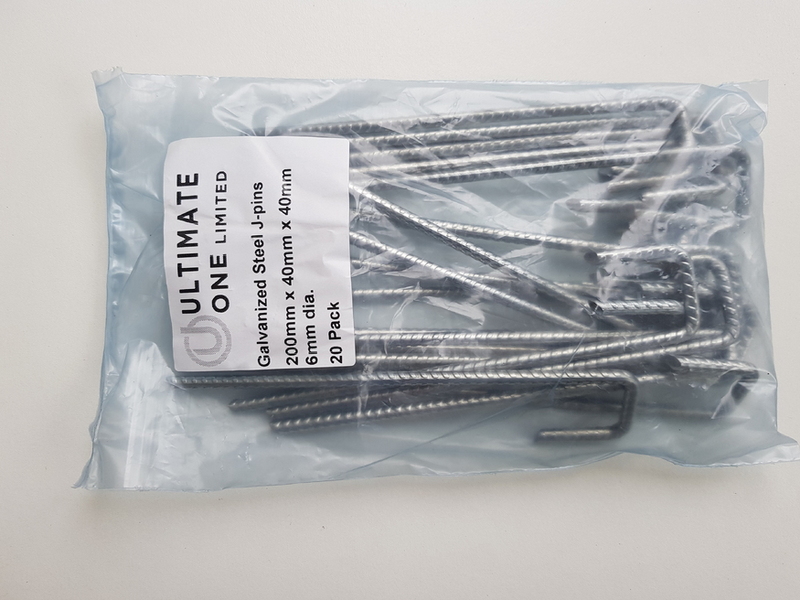 The J-pegs are also ideal as tent pegs or for securing guy ropes and any other fabric to he ground such as geotextiles, weed control fabrics and erosion control mats.